Welcome to Star EnterprisesManufacturer & Exporter of Genuine Spare for Induction FurnacesThe company was established in 2001 as a proprietorship firm. Our products are manufactured incompliance with ANS and ASQ standards. We are well known in the market for our customization options, competitive prices, ethical businesspractices & easy payment modes. Our product list includes Furnace Coil Insulation Items, Water System Spares, Electrical & Semiconductors items. 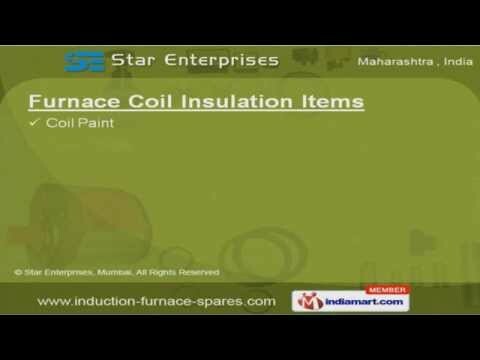 We provide wide array of Furnace Coil Insulation Items at competitive prices. Our Water System Spares are a class apart. Along with that we provide premium grade Hydraulic Spares. Electrical & Semiconductors Items are some of our best selling products. Our Hardware Items & Crucible Spares are manufactured using high quality raw materials.